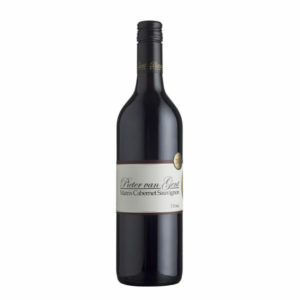 A full bodied Cabernet Sauvignon exhibited a fusion of ripe fruit and oak derived flavours. The boutique evokes blackberry, currents and eucalypts while the palate offers spicy cedar, tabacco and chocolaty notes. Bouquet: Overtones of blackberries, currents, eucalypt and spicy cedar Pallet: Full bodied, with oak delivering minty choclolatey notes Food Pairing: Slow-cooked Beef Ribs with Cinnamon and Sweet Potato Will reward cellaring.